Repair Eye Creme is an advanced anti-aging hydrating eye creme that helps leave the eye area smoother, firmer and hydrated. The appearance of fine lines and wrinkles are reduced with Vitamin A. The look of skin in the eye area is lifted and firmed with multiple active peptides. 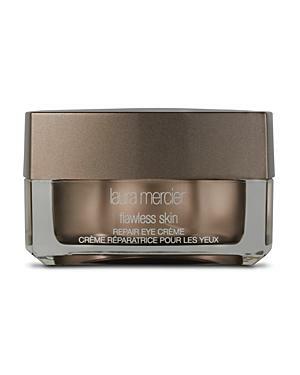 Laura Mercier Repair Eye Creme/0.5 Oz. Laura Mercier Repair Eye Serum/0.5 Oz.